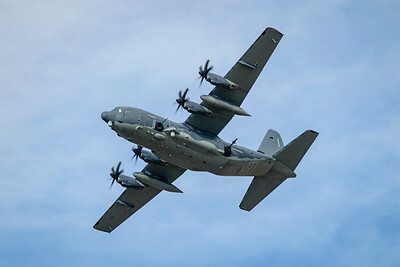 A highly modified C-130J aircraft referred to as "a bomb truck with guns". 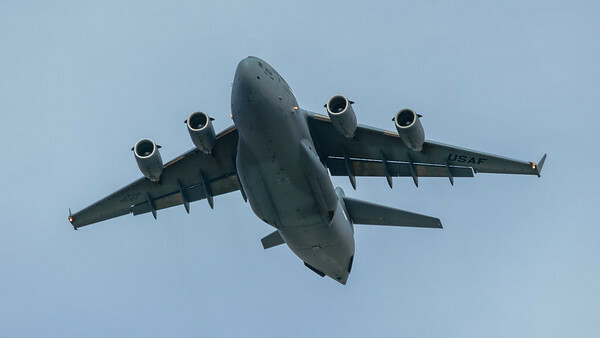 This bird from the 1st Special Operations Group Det 2 out of Hurlburt Field, Florida is on it's way to fly over the Air Force Academy. 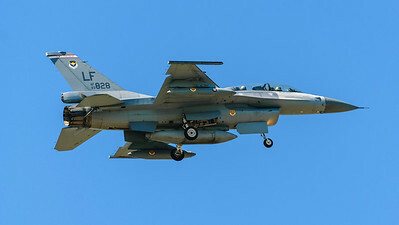 Intended for close-air support, the left side of the plane contains some serious weaponry. First, is the 30mm GAU-23/A autocannonwhich can fire up to 200 rounds per minute. Ammunition feeds from two separate chains allowing the crew to switch to the appropriate type for the intended target. Next is the 105mm M102 howitzer system. This cannon can fire ten 50 pound shells per minute. They have esentially placed artillery weaponry onto a flying platform. Rounding out the arsenal are the 10 AGM-176A Griffin missles house in the tail of the plane. These are a sort of mini Hellfire missles that are laser guided with GPS backup. 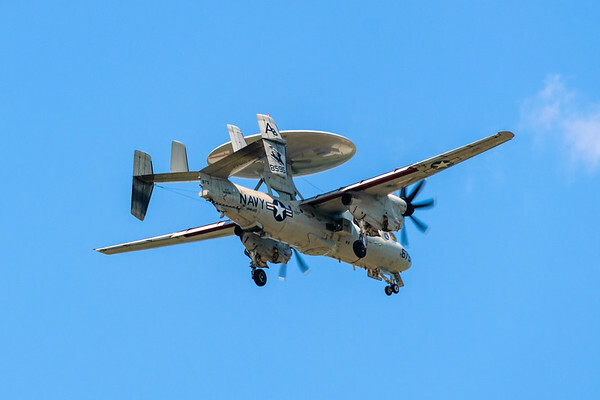 I love watching the Hercs but this may be my new favorite. 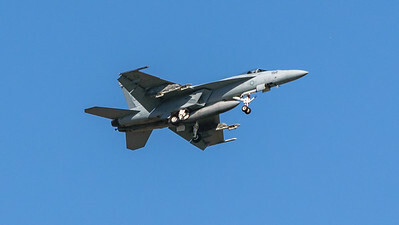 Two seat F/A-18 from VFA-106 "Gladiators". 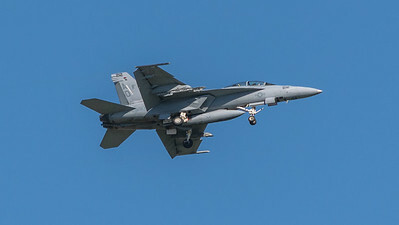 Single seat F/A-18 Hornet from VFA-106 "Gladiators". 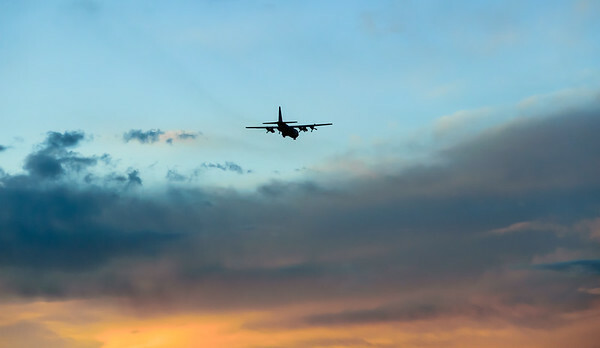 A C-130 caught with a beautiful Colorado sunset. 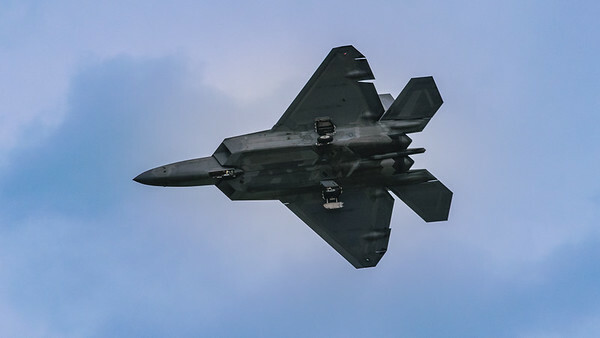 An F-22 banks on it's way to landing at Peterson AFB. 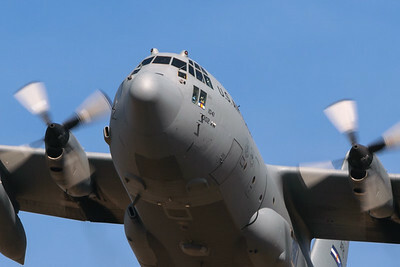 C-130 displays the Colorado colors. 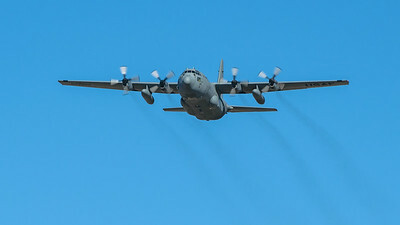 C-130 takes off from Peterson AFB. 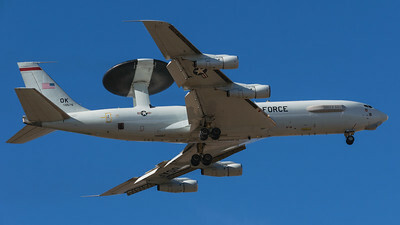 E-3 Sentry shot while performing touch and goes at Peterson AFB. Two-seat F-16 from Luke AFB returns from flying over the USAFA football game. 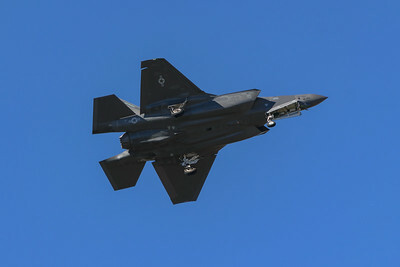 F-35 returning to Peterson AFB after flying over the USAFA footbal game.